I can’t remember learning to use a sewing machine. 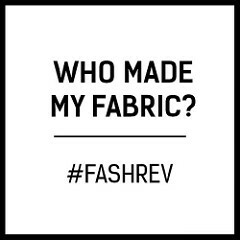 My mom always had a machine at home, and we studied Textiles at my secondary school, in my case up to GCSE level (without wanting to start moaning about UK education I’m not convinced I learned all that much from Textiles class at school. I still have the dress that was my GCSE final project, which received a grade of A*, and the sewing skills displayed are not great…). Overlockers are different though. My mom never had an overlocker and I don’t remember school having one (if they did, I didn’t use it. Although, to be honest, my main interest in class was using the auto embroidery function to embroider garish coloured seahorses on everything I made). So, the first time I ever used an overlocker was when I received one as a birthday present from my parents last year. On first attempt, I was pretty stumped. My overlocker wasn’t stitching correctly and the manual that came with it wasn’t particularly helpful. But with repeated attempts, and the aid of the internet, I figured out what I was doing wrong. I’m still no expert, but I’m improving, and I’ve noted a few common issues that I thought it would be worth sharing. 1) Is your thread secured in the tension disks? When I first unpackaged my new overlocker it was pre-threaded. That seemed like a positive, but it was actually more trouble than it was worth, as, despite it not sewing correctly, I was reluctant to unthread it. After a little while I realised the issue was that the thread wasn’t secured in the tension disks – and so wasn’t running through the machine at the correct tension. 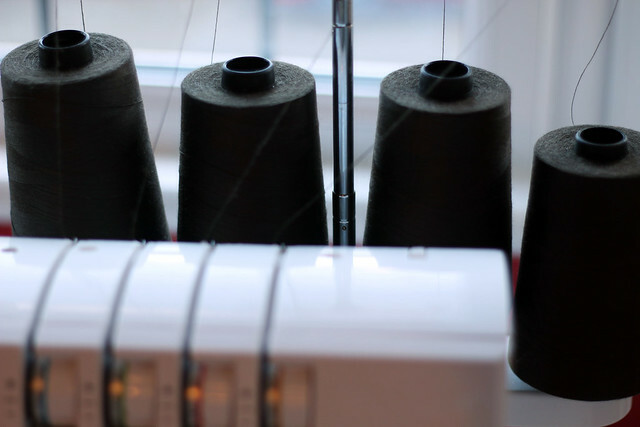 When you pull the thread through the tension disks you should hear a click and/or feel the thread being secured. Make sure this is the case for all 3 or 4 threads you have in use. One of the most likely causes of any issue with the stitch is that the tension isn’t set correctly for your fabric. Your manual may provide advice, but personally I didn’t find mine of much help. I’d advise starting with a ‘basic’ tension (e.g. 4), sewing a test swatch of your fabric, and then adjusting as required. Using cheap thread has never caused me any trouble with my sewing machine, but with my overlocker buying £1 thread cones has resulted in threads snapping frustratingly easily. If your threads are snapping with any frequency this could be a cause. Obviously its important to thread your overlocker correctly. I thought I was, I was following the diagram on the machine to the letter, but realised that the image didn’t show the very last part of the process (how the lower looper thread should be pulled through to the throat plate over the top of the upper looper). This information was included in the more detailed instructions included in the overlocker manual. 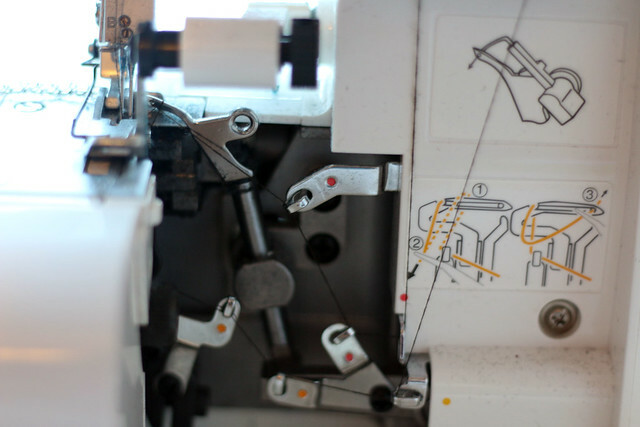 Make sure you are following the threading process to the letter (including those bits that may not be pictured on your machine). 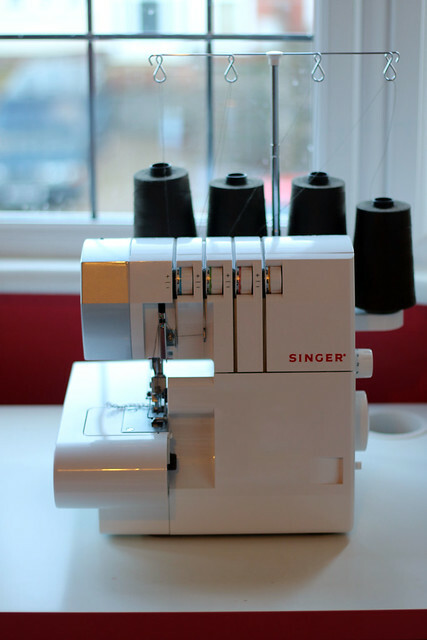 Categories: Sewing | Tags: issue, overlocker, problem, serger, thread | Permalink. I love my serger, and I’m on my second one. Viking 936. This one is computerized – and adjusts the differential feed automatically. 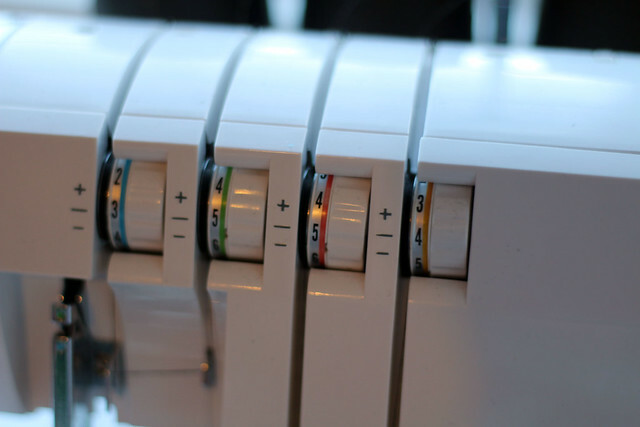 Sigh – serger bliss! Though – the girls at Viking just told me they have an even better one now. I’ll just have to serge with this one till it breaks. That sounds amazing! Next serger I get (sometime in the distant future) I’m definitely going to consider a top-of-the-range model. I never found my serger’s manual to be much help either-I found out a lot more useful info just googling things! Great tips! Yeah, blog advice and YouTube are my go-to for most things! 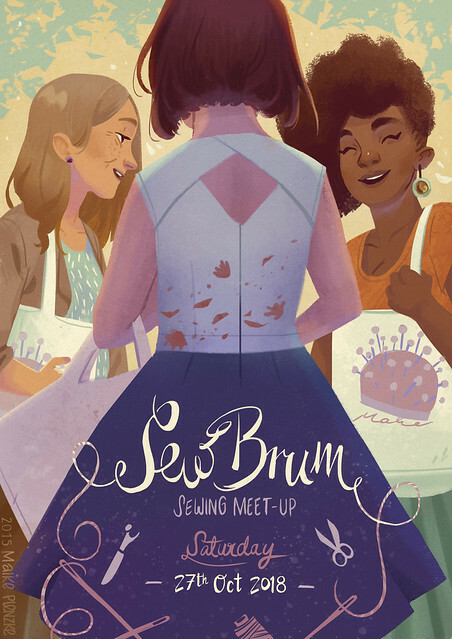 One of the days I might get around to attending a serger class too. We had an overlocker in our sewing room at school. I seem to remember that for our GCSE class I was the only one apart from the teacher who could rethread the thing. But having not used one since (must’ve been before your GCSE as there was no A* option available yet) I’m not sure I could now! I read once that overlockers and sergers are not the same – I had thought it was a UK/US English thing. Do you know what the difference is if any? And what is a coverstitch machine? And an Autsralian Style Arc patern I bought told me to babylock something. These things baffle me. You were good, being able to rethread the school overlocker! I’m sure I never would have had the patience at the time. 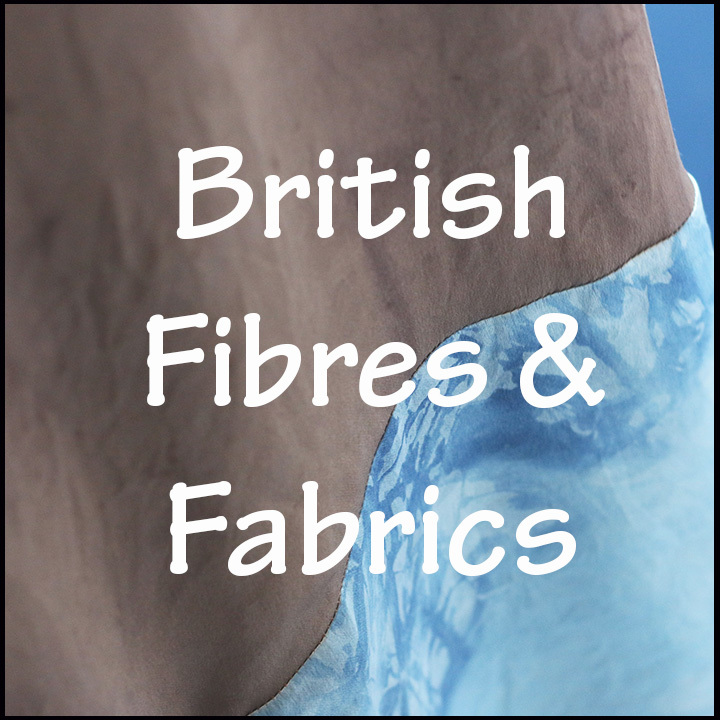 I think overlocker/serger is simply a UK/US English terminology difference, as the two terms tend to be used interchangeably. A cover stitch machine looks like an overlocker (as it uses multiple reels of thread) but only sews a cover stitch – used for hems/seams. So has more limited functionality than most overlockers. Babylock is a brand, so I’m not sure what that instruction would mean! 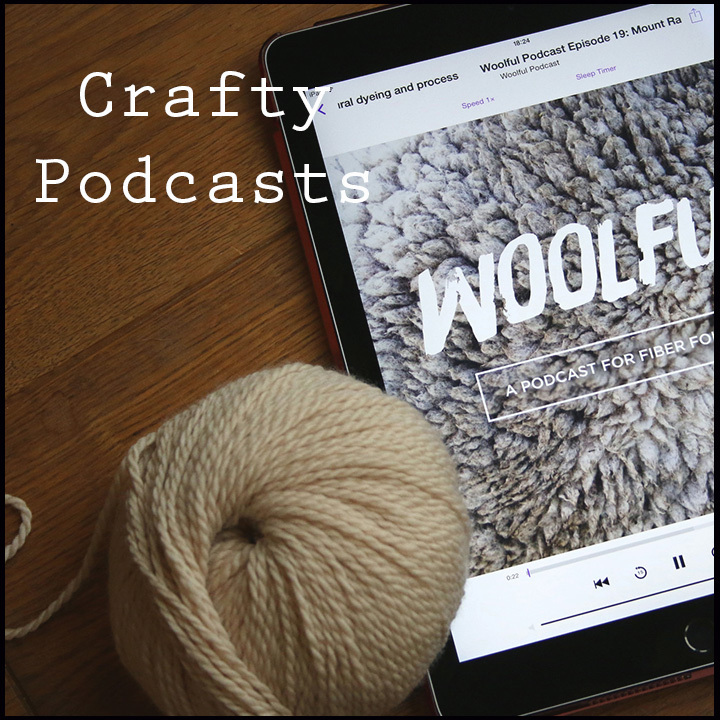 There is definitely a lot of terminology to get your head around in sewing! Thanks for this, I’m sure this is the same over locker I have. I bought it 18 months ago and couldn’t figure it out for the life of me! I’ve googled to find threading advice but to no avail! It’d be great if you could post a link to help me out if it’s possible. 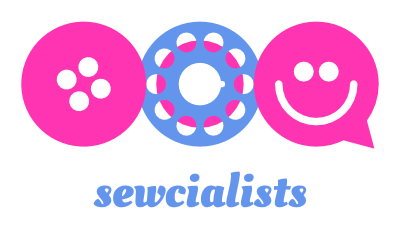 I was just googling to see if there were any decent sewing blogs and happened upon this one- what a find! I have the same overlocker. I recently attended a day course to learn how to get the most out of it because the instruction manual wasn’t the easiest thing to follow! I found the biggest thing i was doing wrong was not adjusting the cutting distance. I kept having too much or too little fabric within the looper stitches and could on;y think to play around with the tension to resolve. That was my eureka moment of the day!! Hi i have the same overlocker i got it fir £129.00 at lidl … you know on the threading where you said the last part about the lower looper thread isn’t on the front of the overlocker …. i never knew this … can you explain what you mean by the lower looper thread has to go over the top of the upper looper and through the throat plate ?